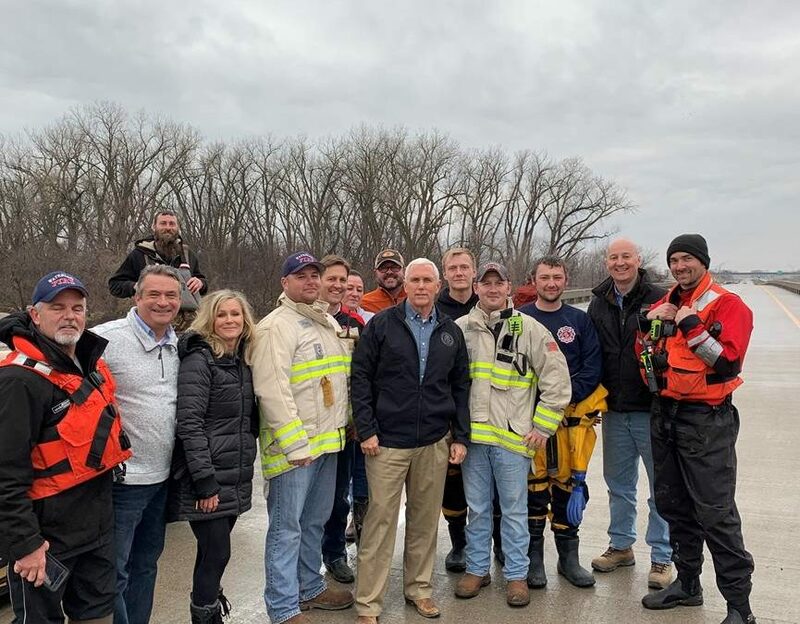 On Tuesday, March 19, 2019, Governor Pete Ricketts joined Vice President Mike Pence and Iowa Governor Kim Reynolds to assess flood damage and emergency response efforts. The visit began with a survey of the flooding along the Missouri River followed by visits to hear from impacted families and thank first responders. Earlier, Governor Ricketts met with the Federal Emergency Management Agency (FEMA) Regional Director Paul Taylor. During the meeting, Governor Ricketts signed and submitted Nebraska’s expedited request to the federal government for disaster assistance. The request will be now be considered by FEMA’s regional office and headquarters. View video footage by clicking here.